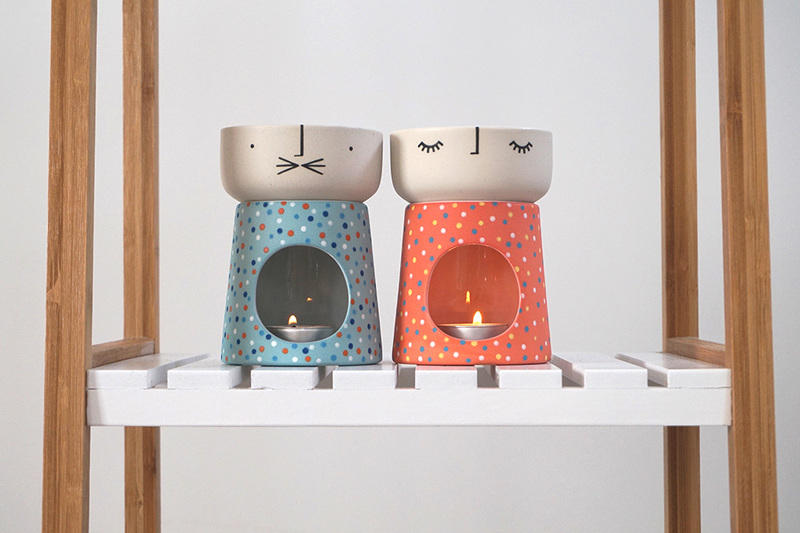 This month it’s all about the Peeps: Vase Peeps (formerly known as Face Vases) and Peep Lights… Peeps, as in short for people and for the flowers and candlelight that ‘peep’ out of the top. I have tried out some new patterns and added watermelon and licorice Peep Lights to the usual colour lineup. So save the date for Wednesday 10 April at 9.30am (AEST…that’s Sydney, Australia). For what the time equates to in your timezone, best to check world clock on your smartphone. I know this time may be problematic for some people but I have to go with the best for multiple zones. 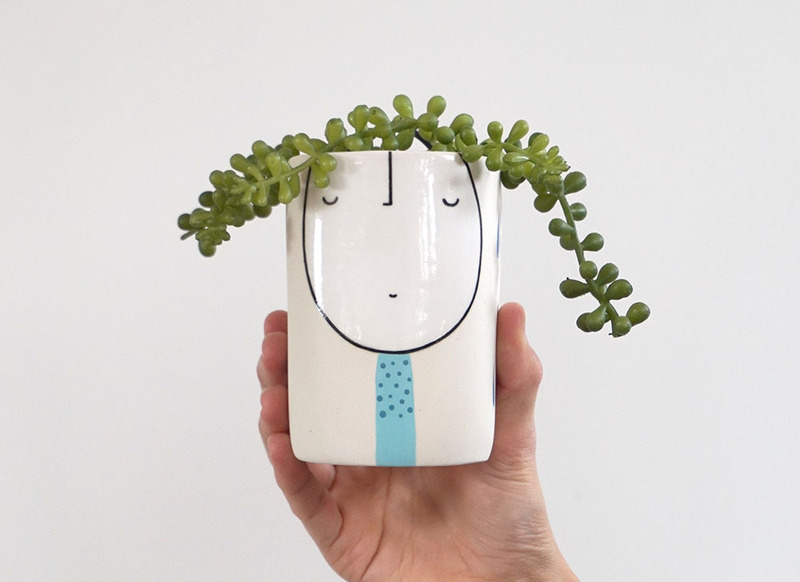 Important: Since so many people miss out each month, I have had to limit the purchase of bestsellers – Vase Peeps: no more than 2 per person please (even in separate transactions) any more will have to be refunded and relisted. Thank you for your understanding and your support! Please check out the tips on how to purchase to avoid disappointment as the shop sells out very quickly (a matter of minutes) My Etsy shop is set up in sections, so for quick finds, go direct to the section you are interested in rather than scrolling through the available items. I will always combine shipping if purchases are made in separate transactions. Thanks for waiting for me…I am pleased to announce my first Shop Update for 2019 will be on Sunday 17 March at 9.30am (AEST…that’s Sydney, Australia) I thought a new year called for trying out a new day. Previously, it has always been on a weekday but I know work commitments often make that hard, so am going for a weekend instead. For what the time equates to in your timezone, best to check world clock on your smartphone. I know this time may be problematic for some people but I have to go with the best for multiple zones. 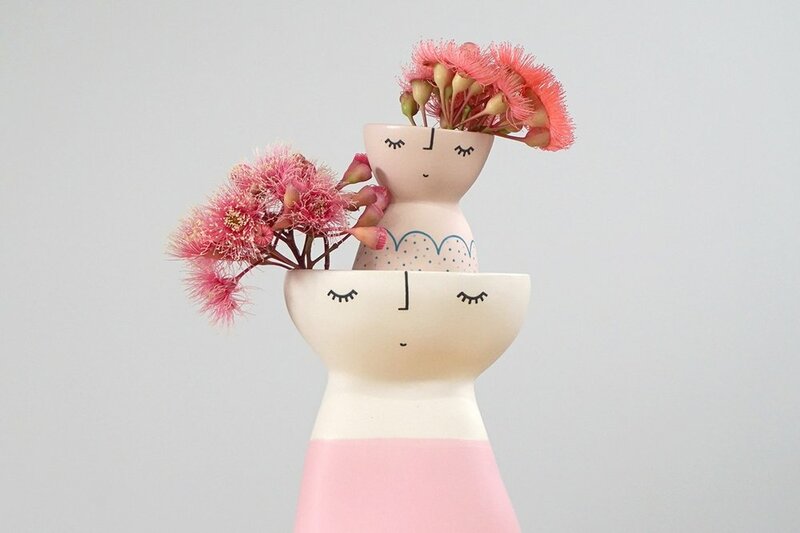 Important: Since so many people miss out each month, I have had to limit the purchase of bestsellers – Face Vases: no more than 2 per person and Burner Babes: 1 per person (even in separate transactions) any more will have to be refunded and relisted. Thank you for your understanding and your support! 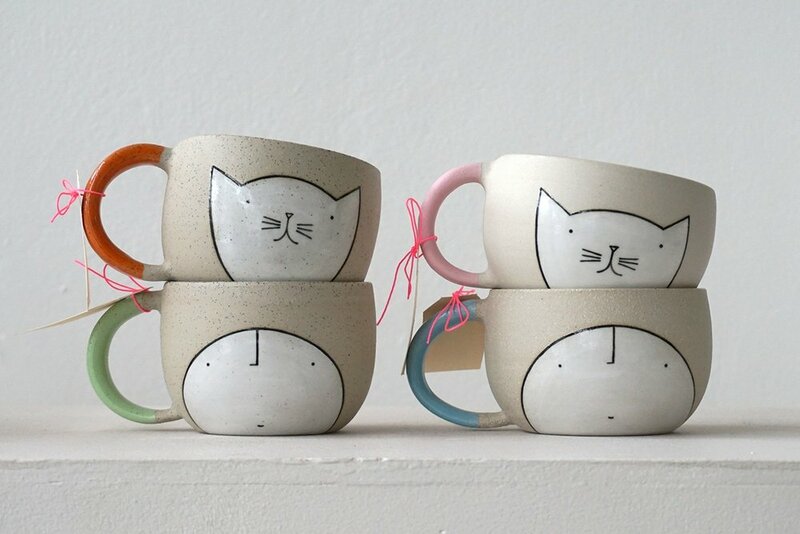 Introducing NEW Kitty and Guy Planters, in both standing and hanging versions. Hand made in a speckled light brown stoneware...they are approx 97mm high and 100mm in diameter and have NO drainage hole. They are spot gloss varnished on the outside and white gloss glazed on the inside. 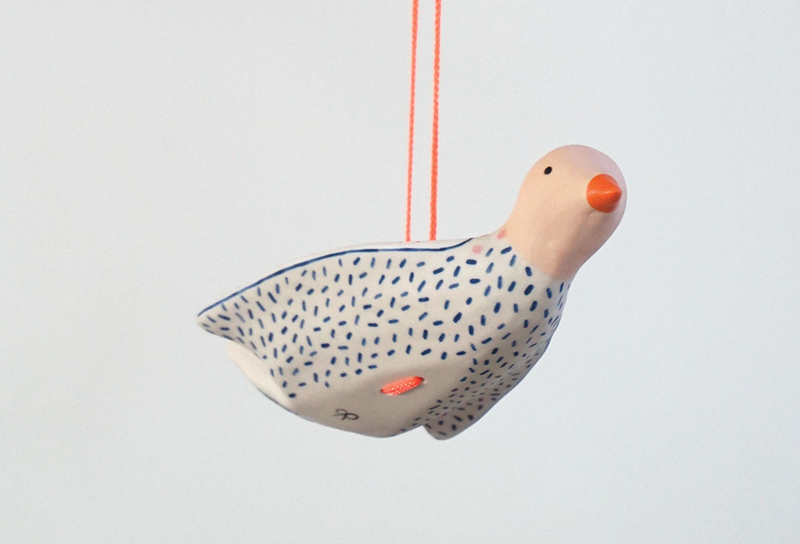 The 100% nylon hanging cord is lightweight, strong and mildew resistant. It is knotted at the top and has a drop of approx 510mm. How is it suddenly the end of the year!!! Save the date and set your alarms for my last Shop Update for 2018 on Wednesday 12 December at 9am …that’s Sydney Australia time…so you will need to consult World Clock on you smart phone for what that equates to in your part of the world. For some countries, it will be the day before…Apologies if the time doesn't suit but I have had to go with the best for multiple zones. View the preview here. I can’t guarantee pre Christmas delivery for overseas orders but am counting on Australia Post to deliver domestic orders in time. Fingers crossed. Please check out the tips on how to purchase to avoid disappointment as the shop sells out very quickly (a matter of minutes) and I will always combine shipping if purchases are made in separate transactions. It’s a BUMPER shop update this month as it’s the last opportunity for overseas Christmas deliveries…so I will be packing the shop with lots of extras: new stuff and more of the usual suspects. View the preview here. Put it in your diary and add a reminder for Monday 26 November at 9am; that’s Sydney Australia time…so you will need to consult World Clock on you smart phone for what that equates to in your part of the world. For some countries, it will be the day before…Apologies if the time doesn't suit but I have had to go with the best for multiple zones. Please check out the tips on how to purchase to avoid disappointment as the shop sells out very quickly (a matter of minutes) and I am happy to combine shipping if purchases are made in separate transactions. Plus new vases, peeps and planters. Check out the preview for all October items here. All of these items will be landing in my Etsy Shop on Wednesday 24 October 2018 at 9am (AEST...that's Sydney, Australia) World clock on your smartphone is handy for finding out what that equates to in your country. Apologies if the time doesn't suit but I have had to go with the best for multiple zones. Please check out the tips on how to purchase to avoid disappointment as the shop sells out very quickly (a matter of minutes) and I am happy to combine shipping if purchases are made in separate transactions. Important: Since so many people miss out each month, please would you consider purchasing only one type of item per person. 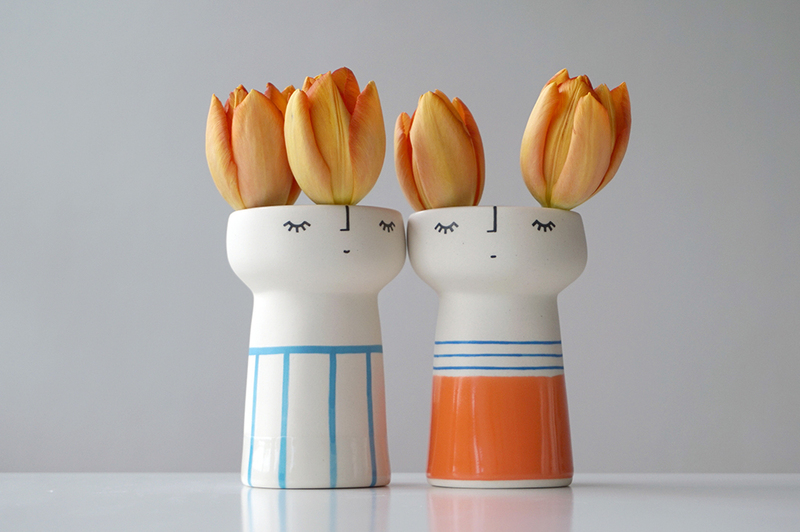 Any more than 2 face vases purchased by the same person (even in separate transactions) will have to be refunded and relisted. Thank you for your understanding and your support! World clock on your smartphone is handy for finding out what that equates to in your country. Apologies if the time doesn't suit but I have had to go with the best for multiple zones. Please check out the tips on how to purchase to avoid disappointment as the shop sells out very quickly (a matter of minutes) and I am happy to combine shipping if purchases are made in separate transactions. Since so many people miss out each month, please would you consider purchasing only one per person. Thanks for your support! July shop update will be live on Monday 30 July at 9am (AEST...that's Sydney, Australia) World clock on your smartphone is handy for finding out what that equates to in your country. How is it possible that it's already the middle of the year! 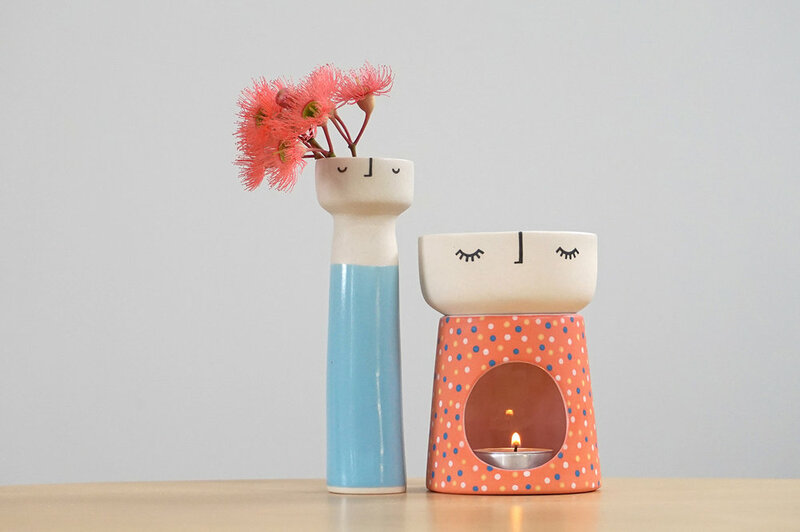 June shop update will be live on Thursday 28 June at 9am (AEST...that's Sydney, Australia) World clock on your smartphone is handy for finding out what that equates to in your country. 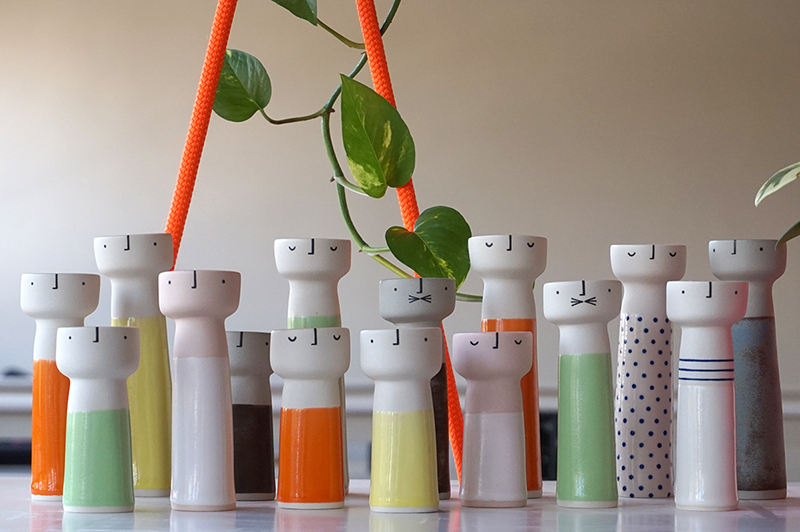 This month...Introducing the Cotton Candies to the lineup of vases and peeps as well as more plain colours and some planters with saucers. 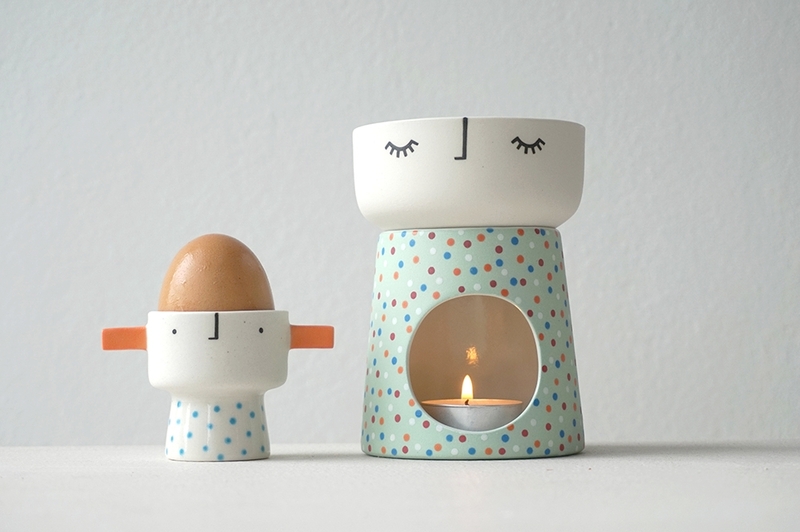 Find the preview for the Face Vases and the Planter/Vase Guys here (please note the vase guys don't have a drainage hole and the planters do) and the Peep Lights and Eggheads below. 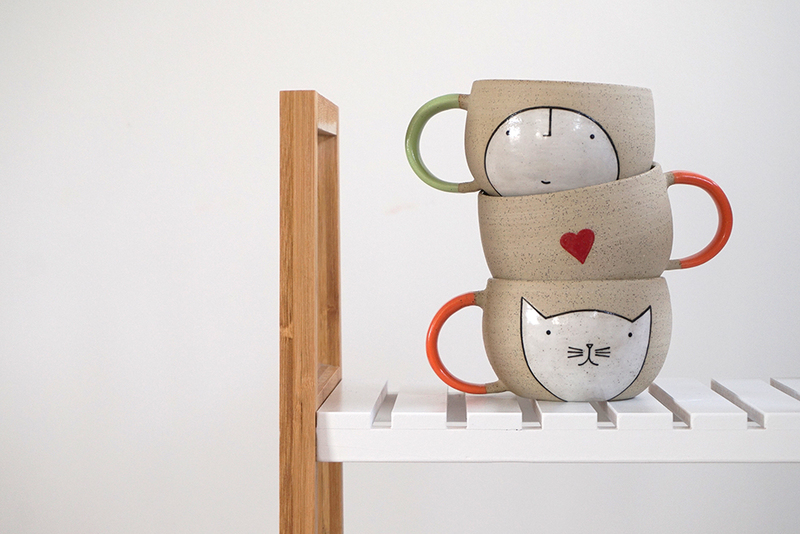 Just in the nick of time...my May Shop Update will be live on Wednesday 30 May at 9am (Australian Eastern Standard Time – Sydney) World clock on your smartphone is handy for finding out what that equates to in your part of the world. Check out what's new this month! 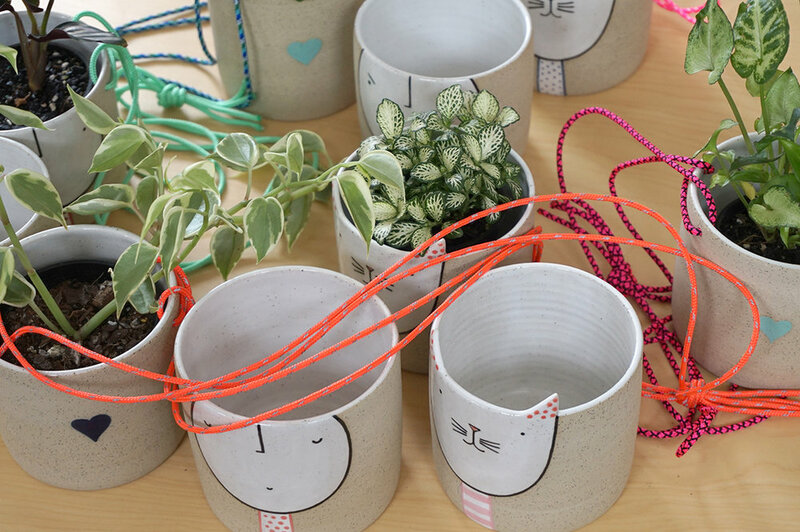 Find the preview for the Face Vases and the Wall Planter Guys here (*All of these wall planters have a drainage hole) and the Peep Lights and Egg Heads below. Apologies if the time doesn't suit but I have had to go with the best for multiple zones. Please check out the tips on how to purchase to avoid disappointment as the shop sells out very quickly (last month in 10 minutes) and I am happy to combine shipping if purchases are made in separate transactions. Please would you consider purchasing only one vase per person and maybe sitting this one out if you already have a vase or two. Save the date for my April Shop Update on Thursday 26 April at 9am (Australian Eastern Standard Time – Sydney) World clock on your smartphone is handy for finding out what that equates to in your part of the world. Check out what's new this month! 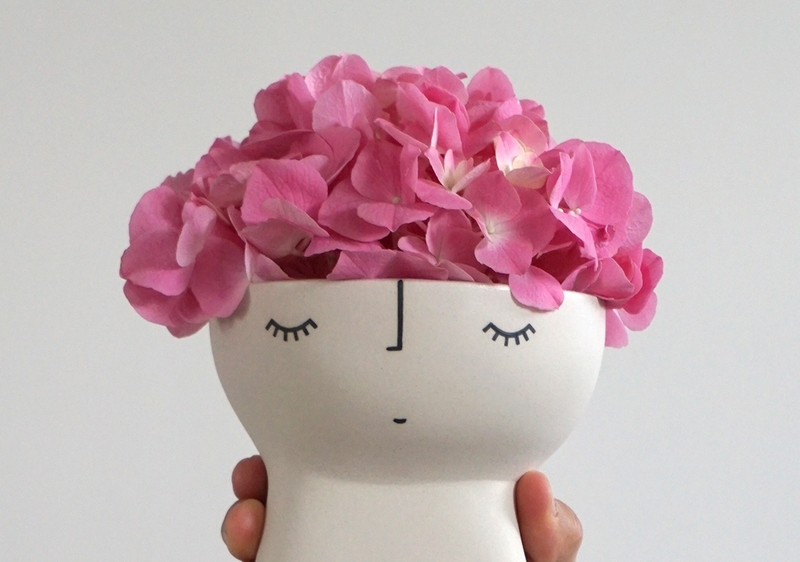 Find the preview for the Face Vases here. Rather than create a special preview for the Peep Lights and Egg Heads, the group photos below show you what will be available. For the Wall Planters/Vases...ok, so this time I have made some of these without drainage holes which I am calling wall vases instead of wall planters. Because there may not be time to read the item description when the update is live, I have included the group pic below to show which have a drainage hole (the three with succulents...green) and which don't (the six with flowers). Apologies if the time doesn't suit but I have had to go with the best for multiple zones. Please check out the tips on how to purchase to avoid disappointment as the shop sells out very quickly (last month in 6 minutes) and I am happy to combine shipping if purchases are made in separate transactions. Please would you consider purchasing only one vase per person and maybe sitting this one out if you already have a vase or two. I have been busily making more things for my first Shop Update for 2018. It will be Thursday 22 March at 9am (Australian Eastern Standard Time – Sydney) best to check world clock on your smartphone for what that equates to in your part of the world) Apologies if this time doesn't suit but I have had to go with the best for multiple zones. 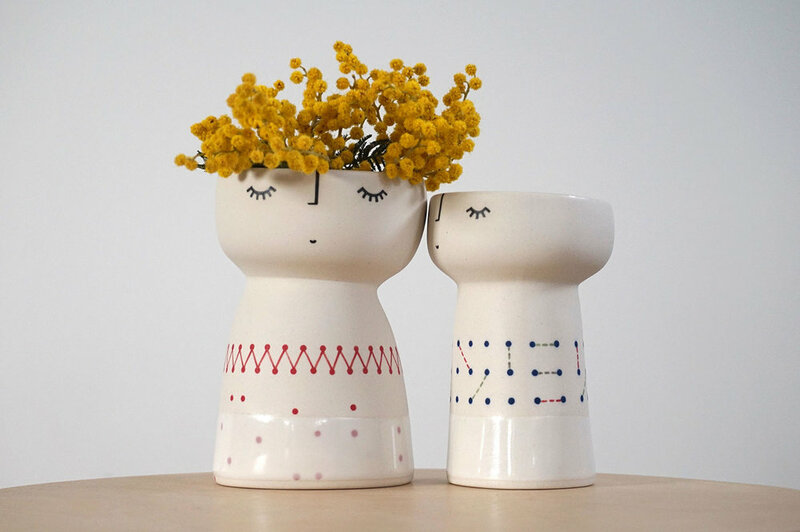 Please check out the tips on how to purchase to avoid disappointment and find the preview for the face vases here. I am happy to combine shipping if purchases are made in separate transactions. Please would you consider purchasing only one vase per person and maybe sitting this one out if you already have a vase or two. Last Shop Update for 2017 will be Tuesday 12 December at 9am (Australian Eastern Standard Time, best to check world clock on your smartphone for what that equates to in your part of the world) Apologies if this time doesn't suit but I have had to go with the best for multiple zones and the weekend would have put Australian Christmas deliveries at risk. 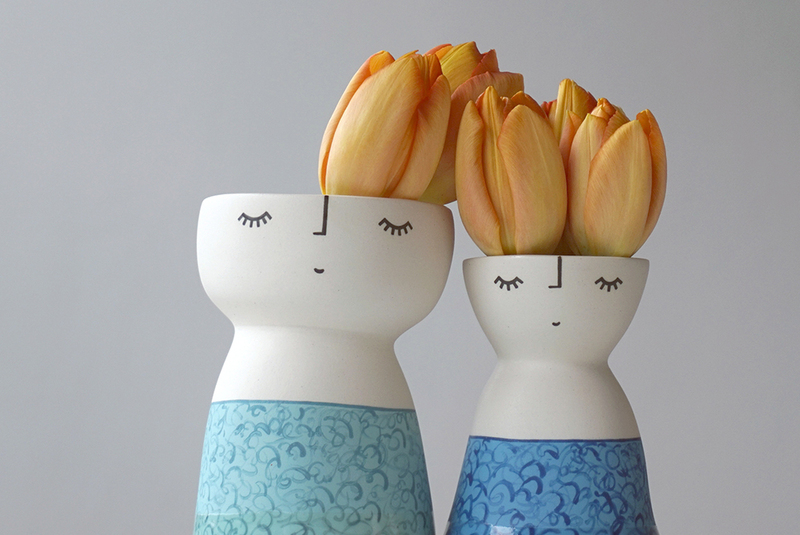 Please check out the tips on how to purchase to avoid disappointment and find the preview for the face vases here. I am happy to combine shipping if purchases are made in separate transactions. Unfortunately, I can't guarantee overseas delivery of these items in time for Christmas. I have decided to split my shop update for November into 2 consecutive days...Wednesday 22/11 and Thursday 23/11, both at 9am (AEST, best to check world clock on your smartphone for what that equates to in your part of the world) see below for more details. Please check out the tips on how to purchase to avoid disappointment. I am happy to combine shipping if purchases are made on both days. 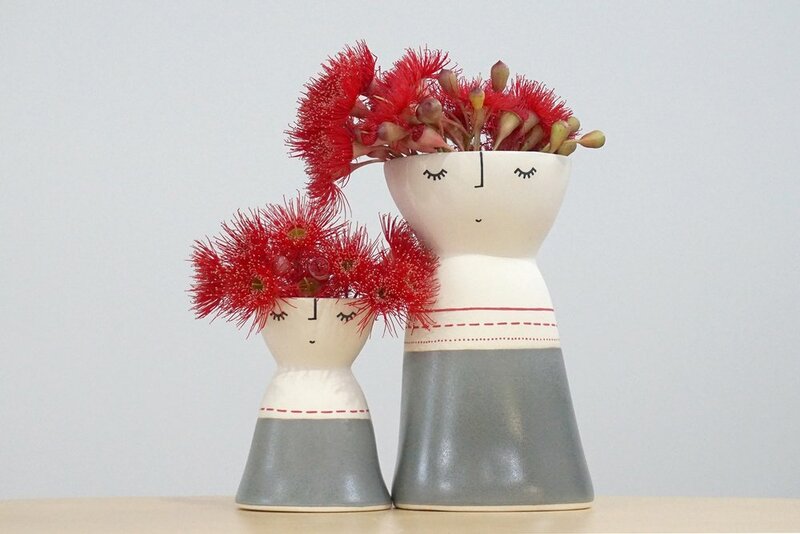 November Vases will land in my Etsy Shop on Wednesday 22 November at 9am (Australian Eastern Standard Time) Click on the image to see the preview. *Overseas shoppers: this is the last chance to purchase if you are looking for delivery in time for Christmas. 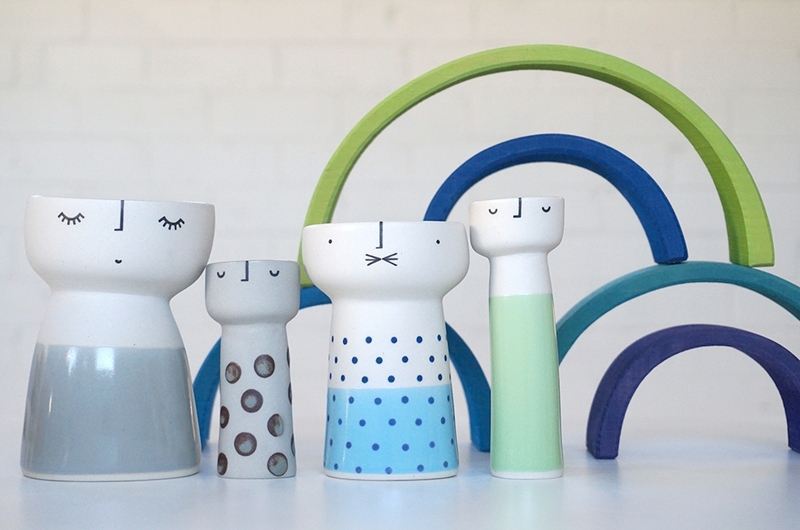 I will be having a December batch release but can't guarantee those vases will arrive before 25 December. *Overseas shoppers: this is the last chance to purchase if you are looking for delivery in time for Christmas. I will be updating the shop in December as well but can't guarantee those items will arrive before 25 December.